Is your trusty Wi-Fi network faltering? Are you encountering problems with streaming media, online games, or network backups? As more people turn to Wi-Fi for tasks that depend on high bandwidth and low latency, the technology's weaknesses--a limited ability to accommodate multiple neighboring networks and multimedia-related design issues, among others--have become more apparent. Tackling these problems may involve purchasing new gear, but you might just need to adjust your router settings. Here are a few common problems and some fixes. If you're having serious difficulties with your Wi-Fi range or streaming media, you might have to spend some money to fix them. Before you buy anything, however, make sure that you're doing the best you can with the gear you already own. Start with the position of your router. You should place it as centrally to the location of your networked gear as possible. If you're using 802.11b, g, or n equipment on the 2.4GHz band, try to keep the router away from potential sources of interference, such as microwave ovens and some cordless phones. If possible, place it higher rather than lower--closer to the ceiling than to the floor. In general, it's best to position the router far from any sources of electrical interference. Speaking of interference, be aware of it. Try not to use the microwave while you're watching a video. Bluetooth also runs on the 2.4GHz band, so consider putting away your Bluetooth headset. Try using channels other than the defaults. Again, this is primarily an issue only for 2.4GHz networks, which have just three nonoverlapping channels (1, 6, and 11). Many routers have an Auto setting that's supposed to figure out which channel is the least crowded, but you can experiment with setting a specific channel. Make sure that the adapters on all other networked devices are set to the same channel. It goes without saying that setting security is important, not just to protect privacy but also to keep bandwidth thieves away. Even if you have set up WPA2 encryption, it's a good idea to check on whether any unauthorized gear is using your network. Most routers have a status page in their firmware that lets you look at active DHCP clients--take a peek from time to time. The breadth of your Wi-Fi coverage depends on a lot of variables, including everything from the distance and number of walls between a networked device and the Wi-Fi router to the weather and time of day. If your Wi-Fi reception is okay up close but iffy a room or two away, you may find that boosting the signal helps--especially if you're still using an older 802.11b/g router (802.11n gear significantly improves coverage). 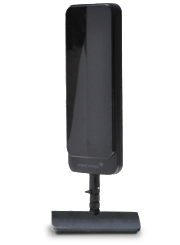 The Amped Wireless High Power Omni-Directional Antenna. antennas, check your router to see whether replacing the antennas is even an option. Several vendors offer so-called high-gain antennas; when shopping, make sure to find one that supports your current Wi-Fi technology. A few older units on the market work with 802.11b/g gear, but if you've upgraded to 802.11n, confirm that the new antenna supports the latest and fastest Wi-Fi standard. The $50 Buffalo Technology AirStation WLE-2DA Directional Antenna supports 802.11n and claims to boost a router's signal from the standard 1-2db to 6db; it's a big, flat gizmo that you point in the direction of your problem spots. Meanwhile, the Amped Wireless High Power 12dBi Omni-Directional WiFi Antenna ($40) promises even more robust amplification. Note that both of these work only with 2.4GHz 802.11n networks (which are backward-compatible with the most popular legacy standards, 802.11b/g) and are designed primarily for indoor use. Trendnet sells a full line of antennas designed for outdoor use, including some that support dual-band (2.4GHz and 5GHz) networks. What if your router doesn't support external or replacement antennas? Investing in a repeater might help. This is basically a device that you position on the outskirts of--but definitely within--the range of your router's reliable coverage; it receives, amplifies, and rebroadcasts the original signal, thereby extending the range. Hawking Technology offers an $80 model (the HWREN1) that supports 2.4GHz 802.11n and is designed for indoor use; the Netgear WN2000RPT delivers similar functionality for $70. If you can browse the Web and download e-mail on your Wi-Fi, but run into dropped signals or issues with streaming multimedia, you're probably having problems with signal interference, especially if you're using 2.4GHz 802.11n (or even worse, 802.11b/g) Wi-Fi. In densely populated areas, even if other devices aren't in use, many neighboring networks may be competing for bandwidth: If more than three devices are trying to use the 2.4GHz spectrum simultaneously, someone will get knocked off, at least briefly. This isn't usually a problem for nonmedia applications--you wouldn't notice a small delay in e-mail delivery, for example--but it becomes quickly apparent with streaming media, which can stutter or freeze. 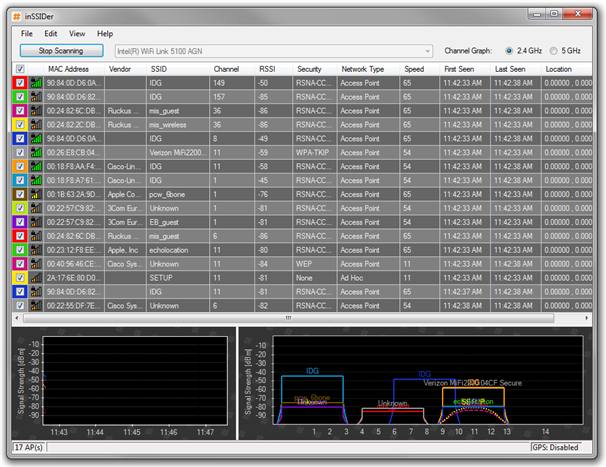 Use InSSIDer to scan your local networks for signal congestion. One way to determine whether channel overcrowding might be a problem is to go into your PC's Wi-Fi utility to detect networks that are in range. If you see more than half a dozen, chances are good that all of them are battling for bandwidth. You can download the free InSSIDer Wi-Fi scanning tool to get an easy readout of all your local Wi-Fi networks, including their channels and signal strength, so you can figure out which channels are less crowded. Channel overcrowding is less of a problem on the 5GHz band, because it has many more channels and it isn't used as much as 2.4GHz is to begin with. In the Wi-Fi universe, only 802.11a devices used 5GHz in the past, and they were far outnumbered by 2.4GHz-based 802.11b and g devices. However, manufacturers are starting to turn to 5GHz for streaming media. If you have a dual-band router, and you have devices that support a 5GHz network (for instance, we're starting to see connected TVs that support dual-band Wi-Fi), you should try setting your devices to use the 5GHz band. Note, however, that the 5GHz band doesn't support the range that 2.4GHz does, so you will want to check whether the 5GHz coverage is adequate where you need it. Even if you have a router that doesn't support the 5GHz band--maybe you invested in a 2.4GHz 802.11n router before dual-band routers were widely available--you can add 5GHz support via an access point (which you would plug into an available ethernet point on your 2.4GHz router). Few vendors ever released 5GHz-only access points, but you should be able to pick up a dual-band access point--the D-Link DAP-1522, for example--for under $100 and run it in 5GHz mode. 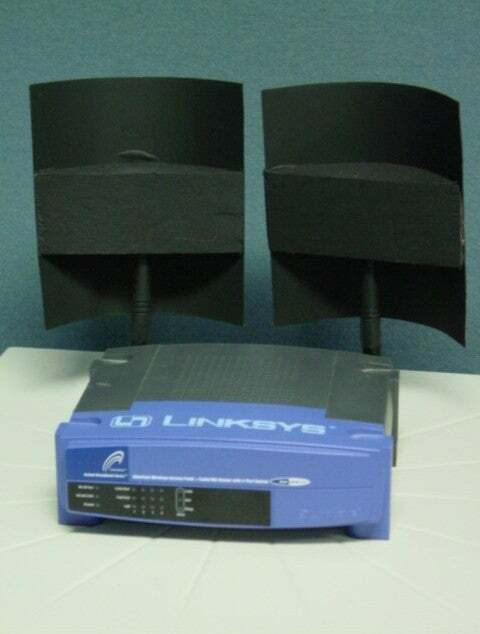 Also, if you're shopping for an 802.11n router and you intend to use it for streaming media, check its antenna array. The speed and coverage of 802.11n depend a lot on the technology's ability to send and receive multiple data streams simultaneously, so the more antennas you have, the faster and farther the network should reach. The fastest 802.11n gear uses 3x3 (three transmitting and three receiving) antennas; gear with 2x2 antenna arrays is less expensive and not as powerful. The difference in antenna arrays is responsible for the varied top potential speeds you see on 802.11n packaging. Powerline networking gear makes it easier to add wired network connections to your home network. If multimedia and coverage issues persist, consider adding a wired component to your network. Although I wouldn't ever want to give up the convenience of Wi-Fi for portable devices such as cell phones, tablets, and laptops, there's no compelling reason to prefer wireless connections for equipment that stays in place, such as home entertainment gear or a desktop PC. A couple of years ago I added HomePlug AV powerline-networking support to my Wi-Fi network, and I've never looked back. It's particularly useful in my home entertainment center, where I have four networked devices connected via ethernet to a four-port HomePlug AV switch plugged into a wall outlet. I enabled the powerline network by plugging a HomePlug AV adapter into a free ethernet port on my Wi-Fi router at one end, and into a wall outlet on the other. But a couple of vendors are starting to ship hybrid routers that support both Wi-Fi and HomePlug AV, out of the box. The D-Link DHP-1320, for one, announced at CES, is shipping for as little as $100 (but it doesn't support 5GHz 802.11n, only the 2.4GHz flavor). HomePlug AV powerline isn't as good as gigabit ethernet, but in general it has proved more reliable than even 5GHz Wi-Fi for streaming media. Unless the electrical circuitry in your home is really old, it can be a great substitute--and of course, it doesn't require running new cables behind walls.